If there's one rule I try to follow in my home, it's "a place for everything and everything in its place." This can be hard, especially when it is just so much easier to let things pile up where they lie. 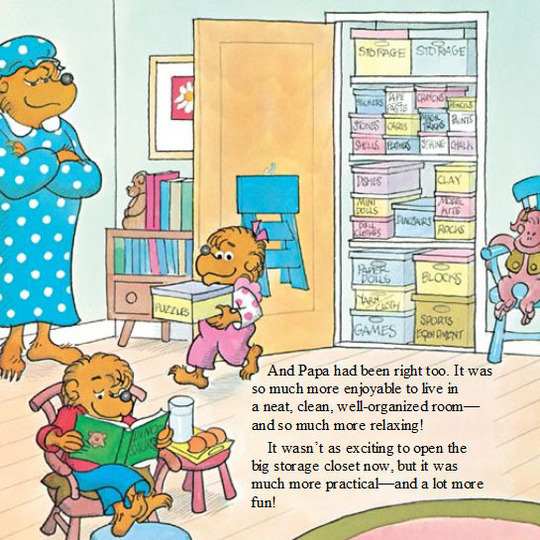 As a kid, my favorite Berenstein Bears book was the one about the messy room. Brother and Sister bear's room degenerated into a huge mess and their parents were oh so frustrated. Ultimately, Papa Bear built them all these really cool compartments and organization systems to corral their junk. What does it say about me that I loved this book so much? I can be a clutter bug, but I really prefer organization. 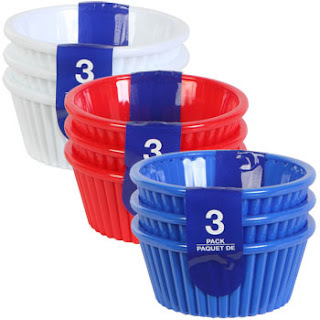 And while I love the idea of having all sorts of fancy containers, spending lots of money at fancy container stores just isn't really practical for me. That's where Dollar Tree comes in. In many ways, it's kind of like a thrift store because going there can be a treasure hunt and you aren't sure what you will find. I'm sharing some organization tips and tricks on Fox 43 this morning. For me, it's all about thinking outside the box while being frugal at the same time. I hope it inspires you to get organized in your home! Everything has an intended use, but there's no rule that says you can't get creative. Each section of items at Dollar Tree can usually do double duty in other areas of your home. 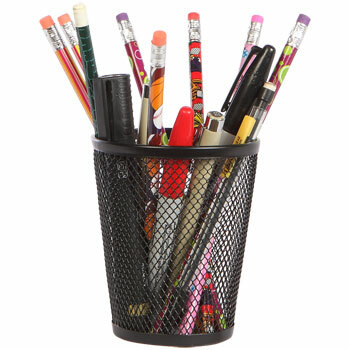 For instance, office supplies are often great for helping you create order in the bathroom. I like to use pen and pencil containers to keep my makeup brushes and lip gloss tubes in one place. They are tall and slender and at $1 a pop, quite a bargain. 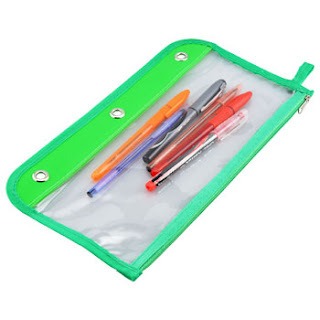 Other office supplies that can work in the bathroom include zippered pencil pouches (also great for makeup, cotton swabs, etc.). I even like the clear plastic ones that snap into 3-ring binders. A great way to keep everything organized while traveling. Kitchen stuff is also great for organizing things in other parts of the house. I like to organize my jewelry in ramekins and small plastic leftovers containers. 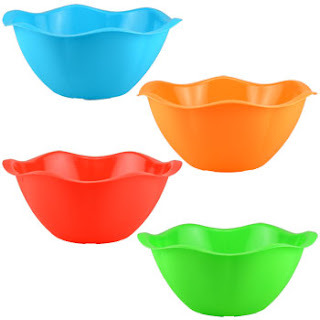 Bright plastic bowls are also good for this because I keep them in a top drawer so I can see all my bracelets and earrings at a glance when I'm getting ready in the morning. I also stumbled upon a cute glass relish dish at my local Dollar Tree. I think it would be perfect for loose change at the end of the day as well as plenty of other uses. 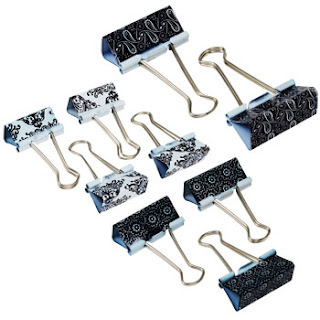 Other office supplies that are great for adding organization are binder clips. When clipped on the side of a table or desk, you can use them to keep your cords and cables neat and save yourself lots of headaches later on. 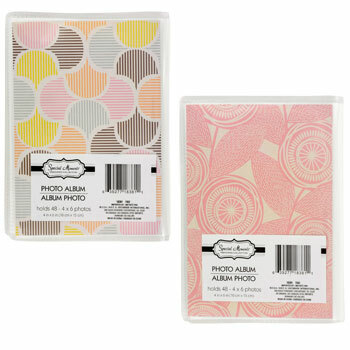 Another great product I picked up at the Dollar Tree is a small 4x6 photo album. I use it to organize recipe cards as I'm doing meal planning. Plus the clear plastic pages protect my cards in case any sauce goes flying! These are just a few of the items I picked up at Dollar Tree...you never know what you'll find at that place. Don't be afraid to pick and choose. It's your house so at the end of the day, you gotta live there. So what if putting your vacuum cleaner bags in the kitchen cabinet seems weird to your friends. If a solution works for you and helps you keep the order at home, don't sweat it. My southern beau and I recently moved and we've been figuring out all the organizing solutions that will work at our new place. Everything we did at our previous home may not really make all that much sense anymore, but I'm glad we're free to pick and choose. So do it your way and don't get too stuck trying to follow certain rules of order based on what DIY blogs and magazines say. Just be like everybody else. Or maybe not.